WOW ! – We just received the new book ..
by Mr’s Gordan Glattenberg, William H. Mills, and Tom Gildersleeve. The subject is Southern California at it’s finest during the early diesel days. I can only say the publisher had a momentous task just selecting photos from there gentlemen for they are in a rare class of a handful of rail photographers that truly have captured the railroads at their finest in color. 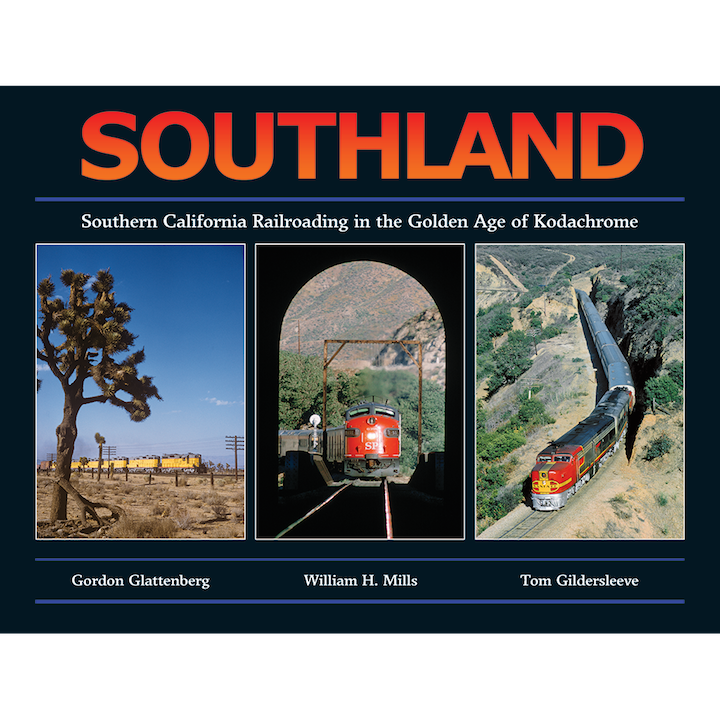 The early 1950’s were transition years for the railroads, steam was all but gone, “Wagons”, ”Cadillac’s” and “U-boats” were in their early arrivals to the Southern California railroad scene. The color photos are unequaled and truly make you feel as if you were trackside.